Christabell’s facebook post says it all, a key constitutional referendum in Kenyan is so far violence free, unlike the last trip to the polls a few years ago. In part this is due to citizens (mostly youth!) tweets and posts providing real time monitoring, transparency, accountability … leading to … Democracy. Uchaguzi (which means “election” in Swahili) is a site driven by tweets and posts. 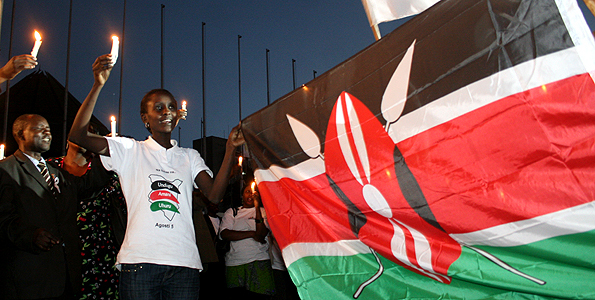 The site provides real-time reporting on what is happening during the referendum in Kenya. Issues such as violence, vote counting, results, and polling logistics are uploaded and mapped on Google Earth. This information then becomes accessible to people locally and globally. The development of launch site is important for Kenyans and for citizens globally. One has to wonder who might have been elected President of the United States in 2000 if this technology had been around? If you are interested in this game changing technology go to my (yet to be published, but hey, take a look at the draft) blog post on Usahidi, the platform this site is based on.